Hazrat Usman (R.A.) was born in 573 A.C. His father's name was Affan bin Abul-As and he himself was known by the name Usman ibn ‘Affan. Hazrat Usman was one of the few persons of Makkah who knew how to read and write. When he grew up, he started business in clothing which made him very rich. He used his money in good and charitable ways and always helped the poor. Hazrat Usman (R.A.) was a soft natured and kind hearted man. He did not hesitate to spend any amount of money on seeing a man in trouble in order to remove his misery. For his noble qualities the Makkans had great respect for him. Hazrat Usman (R.A.) accepted Islam when Hazrat Abu Bakr (R.A.) preached to him. He was one of those Muslims who accepted Islam in its very early days. Though Banu Hashim (Rasulallah (s.a.w)'s family) was rival to Banu Umayyah (Hazrat Usman's family), and the latter was in power at that time,Hazrat Usman (R.A.) did not hesitate to acknowledge the Prophethood of Rasulallah (s.a.w). This was one of the reasons why Quraish leaders belonging to Banu Umayyah (like Abu Sufyan) were opposing Rasulallah (s.a.w). Thus, the acceptance of Islam in such a position shows the clear-mindedness of Hazrat Usman (R.A.). When he accepted Islam, the Quraish who once loved Hazrat Usman became his enemies. Even his relatives (like Hakam, one of his uncles) began to rebuke him and chastised him severely. When life in Makkah became difficult for the Muslims, he went to Rasulallah (s.a.w) and sought permission to take refuge in Abyssinia along with other Muslims. The permission was granted. Hazrat Usman and his wife crossed the Red Sea with other Muslims and migrated to Abyssinia. At the time of his migration Rasulallah (s.a.w) remarked: "Usman is the first man of my Ummah to migrate with his family for the sake of Allah." He stayed there for a couple of months and returned to Makkah when he was wrongly informed by somebody that the Quraish had accepted Islam. Hazrat Usman (R.A.) migrated for the second time with other Muslims to Madinah. He could not participate in the first battle of Islam against non-believers of Makkah at Badr, because his wife was very ill. She died before the Muslims returned from Badr after the victory. 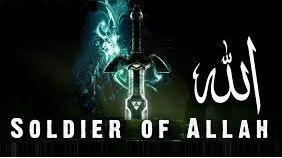 Rasulallah (s.a.w) gave him glad tidings that he would be rewarded as though he had participated in the battle. After the death of Hadrat Ruqayyah (R.A.), Rasulallah (s.a.w) married his next daughter, Umm Kulthum, to Hazrat Usman and so he was given the title of Dhun Nurain i.e., the man with two lights. He was a very prominent Muslim to serve Islam by all means. He participated in almost all the battles against the non-believers in which Rasulallah (s.a.w) had also taken part, except the Battle of Badr. At the time of the Treaty of Hudaibiya, he was sent to Makkah to negotiate with the non-believers. Shortly after, the Muslims were wrongly informed that he was murdered by the Kuffar of Makkah. It is for this reason that Rasulallah (s.a.w) sought a pledge by the Muslims to fight with the non-believers in revenge of his murder. That pledge is known as Bai'at al-Ridwan (the Pledge of Ridwan). For Hazrat Usman’s pledge, Rasulallah (s.a.w) put his left hand (representing Hazrat Usman's hand) on his right hand. When the Muhajirin (emigrants) from Makkah came to Madinah, they had great difficulty in getting drinking water. Hazrat Usman (R.A.) bought a well named bi’r-i-Rumah from a Jew for twenty thousand dirhams for free use for the Muslims. That was the first trust ever made in the history of Islam. Rasulallah (s.a.w) gave him the glad tidings of Paradise for this act. When the number of Muslims increased, Rasulallah (s.a.w)'s mosque became too small to accommodate the increasing population. It was Hazrat Usman (R.A.) who responded to Rasulallah (s.a.w)'s call and bought land for its extension. When Rasulallah (s.a.w) went to the expedition of Tabuk, Hazrat Usman bore the expenses for one third of the Islamic army (about 10,000 men). He also gave one thousand camels, fifty horses and one thousand Dinars (gold coins) to support the rest of the army. On this, Rasulallah (s.a.w) remarked, "Nothing will do any harm to Usman from this day, whatever he does." Hazrat Usman (R.A.) was one of the scribes of the Wahi (revelation) and also used to write other documents (letters and messages etc.) for Rasulallah (s.a.w). At the time of the election of Hazrat Abu Bakr (R.A.), Hazrat Usman (R.A.) was present in the Assembly Hall of Madinah. During the caliphate of Hazrat Abu Bakr and Hazrat Umar, he was a member of the Shura (Advisory Council). He occupied a prominent position in the affairs of the Islamic State during that time. Before his death, Hazrat Umar (R.A.) appointed a panel of six men to select a Khalifah from amongst themselves and then sought his approval through Bai'at (Pledge of loyalty) by the Muslim public. He also instructed them to make the nomination within three days. The panel included Hazrat Usman, Ali, Sa'd bin Abi Waqqas, Talha, Zubair and Abdur Rahman bin 'Auf (Ridwanullahi Alaihim) as the members. The panel could not arrive at any decision even after long meetings. Then, Hazrat Abdur Rahman bin 'Auf proposed somebody to withdraw his name in order to decide the matter. When he got no response, he withdrew his own name. The remaining members agreed that he could take a decision. He consulted each member individually except Hazrat Talha (R.A.) who was not present in Madinah at this time. It so happened that Hazrat Usman proposed Hazrat Ali's name and Hazrat Ali proposed Hazrat Usman's name for the post of Khalifah. But Hazrat Zubair and Sa'd (R.A.) were more in favour of Hazrat Usman than Hazrat Ali. After more consultations with other companions and careful consideration during the third night, Hazrat Abdur Rahman bin ‘Auf (R.A.) gave his decision in the morning of the fourth day, in favour of Hazrat Usman (R.A.). First of all, Hazrat Abdur Rahman bin ‘Auf (R.A.) took Bai'at at the hands of Hazrat Usman and then all the Muslims present in the Mosque followed suit and took Bai'at (pledge of loyalty) at the hands of Hazrat Usman (R.A.). In this way, Hazrat Usman (R.A.) was declared to be the third Khalifah. When Hazrat Talha (R.A.) returned to Madinah, Hazrat Usman (R.A.) requested him either to accept the post of Khalifah (as he was one of the people proposed by Hazrat Umar for the post) or to acknowledge him as Khalifah by taking Bai'at. Hazrat Talha declined to be the Khalifah and took pledge of loyalty at his hand, saying "How can I object to your being the Khalifah when all the Muslims have agreed upon you." During the caliphate of Hazrat Usman (R.A.), the Muslims conquered a number of new areas. They took over Antalya and Asia Minor in the west including Cyprus. Afghanistan, Samarkand, Tashkent, Turkmenistan, Khurasan and Tabrastan in the East and North East; and Libya, Algeria, Tunisia and Morocco in North Africa. In this way Muslims were ruling over a vast part of Asia and Africa viz. Afghanistan, Turkmenistan, Uzbekistan, Persia or Iran, Iraq, Armenia, Azerbaijan, Turkey, Cyprus, Syria, Palestine, Jordan, Egypt, Libya, Algeria, Tunisia, Morocco, and of course Arabia and Yemen including the Gulf states. All these countries and places were under one flag, and the Islamic state was far bigger than any of the past mighty Byzantine or Persian Empires had ever been. Islam as a religion was also prevailing in Abyssinia (now Ethiopia) and in some parts of East and Central Africa though these places were not under the direct control of the Caliphate. The first half of Hazrat Usman's caliphate was very peaceful. During this time, the Muslims gained many victories as described above, and the caliphate extended to a vast area of the then known world. But the later part of Hazrat Usman's caliphate was marred by a terrible civil war which ultimately led to the murder of the Caliph himself. Hazrat Usman (R.A.) was a very gentle and soft-hearted person. The people who wanted to create chaos among the Muslims took advantage of his soft nature. Hazrat Umar's stern hand had kept away the undemocratic and non-Islamic customs, and the practices that prevailed in the courts of Persian and Byzantine Empires. But Hazrat Usman (R.A.) sometimes overlooked the faults of the governors and other officers in various provinces, though he himself totally and completely followed the ways of Rasulallah (s.a.w) and the first two Caliphs. His compassionate nature made the provincial governors bold, as a result of which unrest in the provincial capitals grew and ultimately it engulfed the whole Islamic State. The enemies of Islam were in search of a suitable occasion to work against Islam and the Muslims. They finally found the desired opportunity for this and sent out their men to disturb the peace and to spread false news. Only the main events that happened during that time will be discussed in the following lines. Abdullah bin Saba was a clever Yemenite Jew who had falsely accepted Islam; he pretended to accept Islam only for self-interest and to destroy peace of the Islamic state. He took the leading part in the agitation against Hazrat Usman (R.A.). He had a number of followers who had accepted Islam only to create disharmony among the Muslims. He invented quite a few beliefs and started to preach them. He based his beliefs upon the love of Rasulallah (s.a.w) and his family. The main belief invented by Abdullah bin Saba was that every Prophet left a Wasi (administrator) behind him, and the Wasi was his relative. For example, Hazrat Musa made Hazrat Harun his Wasi. Consequently, Rasulallah (s.a.w) must have a Wasi, and his Wasi was Hazrat Ali (R.A.) Being the Wasi, Hazrat Ali (R.A.) was the only rightful man to be the Khalifah. He went to the extent of declaration that the Khilafat of Hazrat Abu Bakr, Umar and Usman (R.A.) was unlawful. The only way to redress matters was to remove the then Caliph, Hazrat Usman (R.A.). He started to give wrong commentaries of various verses of the Holy Qur'an and twisted their meaning in favour of his beliefs. He preached his false self-coined beliefs secretly and selected the main headquarters of Muslim military power (Kufa, Basrah, Syria and Egypt) as centres of his activities. He picked up a number of newly converted Muslims who lent an easy ear to his preachings. Some simple Muslims who were holdinghaving certain complaints against various governors also joined him. It was the real cause of all the troubles. First of all, he visited Madinah to note the internal conditions of the capital. He pretended to be a very pious Muslim but could not get much followers over there. Then he went to Basrah and started to preach his beliefs and incite the public against Muslim officers. At that time, Hazrat Abdullah bin Amir was the Governor. Hearing about his activities, he called him and made certain enquiries of which Abdullah bin Saba became frightened and left Basrah leaving his followers and workers over there under the supervision of Hakim bin Hublah, one of the opponents of the governor. From Basrah, Abdullah bin Saba moved to Kufa and found it more suitable for his destructive activities. He pretended to be a very pious Muslim and because of his show of piety, a number of simple Muslims started to respect him. Then he preached his beliefs. Soon the governor of Kufa, Hazrat Sad bin al-'As was informed about him. He called him and warned him against his false beliefs and the damage he wanted to cause to the Muslim community. For this reason, he left Kufa as well but made Ashtar as his deputy with instructions that the mission should be continued secretly. From there, he also went to Damascus but was not successful because of the strict control of Hazrat Amir Mu'awiya (R.A.). At last, he selected Egypt and went there. The governor of Egypt, Hazrat Abdullah bin Sarah was busy in the battles against Byzantine forces in North Africa and could not pay much attention to Ibn Saba's activities. He continued correspondence with his followers in Basrah, Kufa and other places from Egypt, and gave them directions for creating disorder and rivalry among the Muslims. His followers, most of whom were pretending to be Muslims, used various techniques to increase their strength. They made a great show of piety and posed to be very pious worshippers. They incited people to forge complaints against the governors, various officers and the Khalifah as well. A new campaign against most of the officers was started by calling them irreligious, non-practical and bad Muslims. They sent forged letters from place to place which talked of injustice and unrest in the place from where they were posted. Such letters were usually sent to Sabaites (the followers of Abdullah bin Saba) who read them out to as many people as possible. These forged letters also showed that Hazrat Ali, Talha, and Zubair (R.A.) had full sympathy for them and their mission and they disliked the Khalifah, Hazrat Usman (R.A.). These were the three leading Companions in Madinah at that time. Thus, the people of various places began to believe that there was a widespread unrest and that the leading Companions wanted to remove the Khalifah, Hazrat Usman. The Sabaites also worked throughout the state against various governors. They were the real cause of their removal from time to time. Sabaites were the main figures behind the removal of Hazrat Abu Musa Ash'ari from the governorship of Basrah at the time when their mission was not so popular. They spread rumours against Hazrat Walid bin 'Uqbah, governor of Kufa, and wrongly accused him of drinking liquor, and provided false witnesses against him because of which the Khalifah punished him. When he was punished, they accused the Khalifah of punishing innocent Muslims. When Hazrat Abdullah bin Amir (R.A.) was appointed as the governor of Basrah to replace Hazrat Abu Musa Ash'ari, they incited the public against him and against the Khalifah, saying that he was given the governorship in his young age only because he was related to Hazrat Usman. On one side, they incited the people against the governors and on the other they accused the Khalifah. On the basis of complaints, when Hazrat Usman (R.A.) removed the governors they criticised him to be unduly kind to his relatives by appointing them to big posts. 1. Hazrat Usman belonged to the Quraishi family of Banu Umayyah. Before Islam, there was rivalry between Banu Umayyah and Banu Hashim (another Quraishi family to which Rasulallah (s.a.w) and Hazrat Ali (R.A) belonged). In Madinah, the Sabaites incited Banu Hashim against Banu Umayyah, actually against Hazrat Usman, bysaying that he was removing Hashmites from the big offices in order to support Umayyads and that he was unduly considerate to his family. 2. They alleged that Hazrat Usman (R.A.) was extravagant and gave away money to his relatives, thus squandered the Baitul Mal. The allegation was absolutely false. Hazrat Usman (R.A.) was one of the wealthiest merchants in Arabia due to which people gave him the title of Ghani (the rich man). His liberal contributions towards the cause of Islam during the life of Rasulallah (s.a.w) have been mentioned in the preceding pages. His generosity continued in the same way during his Caliphate. He spent his own money to help the poor, and also his relatives but never took anything wrongfully from the Baitul Mal. Not only this, he did not accept any allowance from the Baitul Mal for his services as Caliph. Through his addresses and speeches, he clarified his position several times and gave satisfactory explanations to the false accusations against him. Once he promised to give one fifth of the booty of Tripoli, the state share, to Hazrat Abdullah bin Sarah, the then Governor of Egypt, for his invaluable services and the bravery he showed in the battles that took place between the Muslims and the Byzantine forces in North African territories. But because the general public disapproved his view, he asked Abdullah to return that share. 3. One of the allegations, levelled by Sabaites against Hazrat Usman, was that he had burnt some copies of the Holy Qur'an. The fact was that Hazrat Usman (R.A.) sent copies of the Holy Qur'an, written by Hazrat Zaid bin Thabit by the order of Hadrat Abu Bakr during his caliphate, to various places of the state and asked the governors and other officers to burn all those copies of the Holy Qur'an which were incomplete and were not in accordance with the Holy Qur'an compiled by Hazrat Zaid bin Thabit. This was done in order to avoid confusion between the Muslims because there were some copies of the Holy Qur'an at that time in which the order of the Surahs (chapters) was not like that which was proposed by the Rasulallah (s.a.w) in accordance to Hazrat Jibrail's instructions as commanded by Allah. Moreover, some of the copies existing at that time at various places other than Madinah were lacking in some chapters, and were incomplete. For this reason, Hazrat Usman (R.A.) got copies made of the standard Book which was compiled during the time of Hazrat Abu Bakr (R.A.) and sent them to various places. Differences had also arisen due to differences in handwritings so he also standardised the way of writing the Holy Qur'an. This has been considered as one of the greatest services of Hazrat Usman (R.A.) rendered to Islam for which he has been given the title of Jami'ul-Qur'an (the Compiler of the Qur'an) although the Holy Qur'an was compiled in a book form by Hazrat Abu Bakr (R.A.) on the insistence of Hazrat Umar (R.A.). 4. At this point, I would like to mention something about Hazrat Abu Zarr Ghafari (R.A.) because this allegation is concerned with him. He was a well-known and pious Companion of Rasulallah (s.a.w), who always kept aloof from the world and its riches. He was not in favour of accumulation of money and saving it. Regarding the Baitul Mal (public treasury), he held the view that all the money should be spent for the welfare of Muslims as soon as it came through taxes etc. In Syria, he started to publicise his opinion and a number of people followed him. Seeing this, Hazrat Amir Mu'awiya wrote to Hazrat Usman who recalled Hazrat Abu Dharr to Madinah and then he retired to a village named Rabdhah near Madinah. Abdullah bin Saba tried to gain favour of Hazrat Abu Zarr (R.A.) when he was in Syria but he rebuked Ibn Saba and told him that the beliefs he was preaching were foreign to Islam and that his aim was to create chaos among the Muslims. When Hazrat Abu Zarr (R.A.) had retired, they started accusing Hazrat Usman of forcing him to live in a village. Not only this, but they also accused him of ill treatment of other recognised companions like Hazrat Ammar bin Yasir and Hazrat Abdullah bin Mas'ud (R.A.) But all of these accusations were false. 5. One of the allegations against Hazrat Usman was that he called Hakam bin As to Medina who was exiled by Rasulallah (s.a.w). However this step of Hazrat Usman was not too wise. Not only this, but he also appointed Hakam's son Marwan as his chief secretary which was not liked by some prominent Companions and also by the Muslim public. The forthcoming discussion on this point would reveal that Marwan became the main cause of the insurgents' existence who ultimately assassinated the Khalifah. It is alleged that he wrote to Egypt's governor, Hazrat Abdullah to kill Muhammad bin Abi Bakr whom Hazrat Usman had appointed the governor of Egypt in place of Muhammad bin Abi Bakr when the insurgents pressed Hazrat Usman to do so but this, too, was false. The letter was sheer forgery. There are some other false allegations which were levelled by Sabaites to defame the Khalifah. Since most of them are purely theological in nature and not political, they have not been mentioned here. When the unrest caused by Sabaites continued to grow in all parts of the State, the news began to pour into Madinah. The leading companions asked Hazrat Usman to take steps against them. So, he called a conference of the governors in Madinah in the year 34 A.H., just after the Hajj. All the governors attended the meeting. Hazrat Usman (R.A.) enquired from them about the growing unrest in the State. They told him that it was due to some mischief-mongers who wanted to overthrow the government. They suggested that such persons must be punished and those who were the leaders must be put to sword. But Hazrat Usman disliked the suggestion and told them that without just cause he would never shed even a single drop of Muslim blood. Hazrat Usman (R.A.) was not willing to take stern action against such persons because he did not wish that hundreds of men should be massacred for his interest. Instead, he sent a mission of four persons to tour the provinces: Muhammad bin Muslimah, Usamah bin Zaid, Ammar bin Yasir and Abdullah bin Umar (R.A). After the governors' conference was over Hazrat Amir Mu’awiya (R.A.) suggested that he should leave Madinah and should pass some time in Damascus but he said, "I would not leave Madinah even if the people kill me. No price can take me away from the land of the Holy Prophet (s.a.w)." Then Hazrat Amir Mu'awiya (R.A.) requested Hazrat Usman (R.A.) to allow him to send an army to Madinah for his protection but Hazrat Usman did not even agree to that. The mission sent by Hazrat Usman toured various places and talked with the people. Three of them returned to Madinah and reported to Hazrat Usman that the conditions were normal. The fourth member of the mission Hazrat Ammar bin Yasir (R.A.) did not return. He was sent to Egypt where Abdullah bin Saba and his followers coaxed him and he started to live with them instead of returning to Madinah. Abdullah bin Saba was in search of some important men who had influence over the Muslims. At last, he won over three important figures. One amongst them was Hazrat Ammar bin Yasir, described above. The other two joined Ibn Saba before Hazrat Ammar. They were Muhammad bin Abi Hudhaifah and Muhammad bin Abi Bakr. Muhammad bin Abi Hudhaifah was an orphan and was brought up by Hazrat Usman along with some other orphans. When he grew up he desired some big post. Hazrat Usman (R.A.) did not consider him fit for that. So he left Madinah and went to Egypt and ultimately joined Ibn Saba. Muhammad bin Abi Bakr (R.A.) was in debt. The creditor complained to the Khalifah who decided the case impartially in favour of the creditor as a result of which Muhammad bin Abi Bakr left Madinah, went to Egypt and ultimately joined Ibn Saba. The Sabaites were planning to cause a general rising while the Governors were away attending the conference. However, the plot could not be carried out. Kufa was the main centre of the Sabaites besides their headquarters in Egypt. The hooligans of Kufa tried to carry out the plan and did not allow the governor to enter the city when he returned from the conference. They demanded that Hazrat Musa Ash'ari should be appointed as the governor in place of Sa'd bin As. Their request was granted and Hazrat Usman (R.A.) sent Hazrat Musa Ash'ari to Kufa. Then they chalked out another plan and decided that their ring leaders should meet at Madinah. This plan had to serve double purpose. On the one hand, they wanted to study the situation for future course of action, and on the other hand they wanted to show the public that they put their grievances before the Khalifah but he did not pay any attention to them. According to the plan, three delegations came, one from Egypt, the second from Kufa and the third from Basrah. Hazrat Usman was informed about their plan but he accepted it quietly. When these Sabaites entered Madinah, some Companions suggested to Hazrat Usman (R.A.) to kill them but he said that without sufficient legal grounds no man would be executed, and that he would try to remove the misunderstandings. He told them, "I will be kind to them and if kindness fails to work I would rather sacrifice myself for Allah's Will." "I have been accused of loving my kinsmen and being unduly kind to them. It is not a sin to love one's relatives but I have never been unjust to other people due to this. Whatever I give them is from my own pocket. I never spent anything on my relatives and kinsmen from public funds." "It has been said that I have appointed comparatively young men as officers. I did it only because I found them more able for the cause of Islam. Nobody could deny their honesty and the work they rendered for the cause of Islam and the Muslims. The appointment of Usamah as the commander of the army by Rasulallah (s.a.w) is proof that youth is no disqualification." "It has been alleged that I gave the whole booty of North Africa as reward to the governor of Egypt. It is true but when I learnt about the public objection to it, I took back the money from the governor and deposited it in the Baitul Mal." "It is said that I have reserved the public pastures for my personal use. I swear by Allah that I never did it. In public pastures, only those animals graze which are the property of the Baitul Mal (public treasury). All of you know that when I was entrusted with this office (i.e. caliphate) I had more animals than anyone in the whole of Arabia but now I have only two camels that are to serve me at the time of Hajj. How could I reserve the public pastures for my personal use?" "I have sent authorized copies of the Holy Qur'an to every part of the empire. There are people who object to this. You all know that the Holy Qur'an is only one book sent down by Allah. The Companions who wrote down this book, under the eyes of the Holy Prophet, are still alive. It is they who compiled the copy which I have sent." "It is said that I called Hakam to Madinah, who was exiled by Rasulallah (s.a.w). Actually Rasulallah (s.a.w) exiled him from Makkah to Taif. Then Rasulallah (s.a.w) had allowed him to live at Madinah on my request. I only put into force the permission granted by Rasulallah (s.a.w) himself." "Tell me if all I have said is not correct." But the aim of these ring leaders was to create mischief. They returned to their places and instead of telling the truth, they told them that the Khalifah was not ready to set things right. Then they planned to send strong contingents from places like Basrah, Kufa and Egypt for the forthcoming Hajj. The parties were to leave their places pretending to perform Hajj but their real aim was to go to Madinah and decide the matter with the sword i.e. to change the Khalifah by force. Though the Khalifah, Hazrat Usman, knew about this plan beforehand, he did not want to use force. He was determined to win over his enemies with love and compassion. The time of Hajj in the year 35 A.H. (656 A.C.) came near, and they started to put their plans into action. In the month of Shawwal 35 A.H., they started arriving in small groups from various places. In all, about three thousand Sabaites came, one thousand from each place viz. Basrah, Kufa and Egypt. The groups from Basrah stayed at Dhi Khashab, and those from Kufa stayed at Awas while the Egyptians stayed at Dhi Murwah. All three places are near Madinah. All of them wanted Hazrat Usman to step down but there was some difference of opinion regarding the next Khalifah. Because of Ibn Saba, the Egyptians wanted Hazrat Ali (R.A.), but Kufites preferred Hazrat Zubair while Basrites were in favour of Hazrat Talha. The Egyptians came to Hazrat Ali and requested him to accept the Khilafat. Hazrat Ali replied, "Rasulallah (s.a.w) has told us that the parties of Dhi Khashab, Dhi Murwah and Awas are cursed. Every pious Muslim knows it. I can't cooperate with you. Go back to your places." The insurgents from Kufa made the same request to Hazrat Zubair who also gave the same reply. The Basrites approached Hazrat Talha who also refused. When Hazrat Usman heard about the insurgents, he sent some of the leading Companions including Hadrat Ali to them. Hazrat Ali assured the insurgents that their complaints would be listened to. They put forward certain demands including the dismissal of the governor of Egypt and appointment of Muhammad bin Abi Bakr as the new governor. Hazrat Usman acceded to their demand without any question. Then he gave a short address in which he said, "By Allah, for the cause of truth, I am ready to obey even a slave. I promise to fulfil your demands." Saying this, tears rolled down the eyes of Hazrat Usman, and the audience also wept. Hazrat Ali (R.A.) then again assured the insurgents and they seemed to be satisfied and started to return from where they had come from. All the Muslims in Madinah thought that the trouble had ended. A few days later, the people of Madinah were surprised to hear shouts of "Revenge, revenge!" in the streets. Hearing the shouts, Hazrat Ali came out to enquire about the matter. The insurgents showed a letter to him under the seal of the Khalifah and signed by Marwan bin Hakam, the chief secretary of Hazrat Usman (R.A.). The letter was being carried to the Governor of Egypt by a special messenger whom they intercepted on the way. The letter said; "Uqtul Muhammad bin Abu Bakr" (Kill Muhammad bin Abu Bakr) instead of "lqbil Muhammad bin Abu Bakr" (i.e. Accept Muhammad bin Abu Bakr as governor). Note: It seems that the "Nuqtab" (dot) of Arabic letter "Ba" was wrongly placed at the top maing it similiar to another letter "Ta" due to which the meaning was totally changed. But according to most of the historians the letter was intentionally written by Marwan about which Hazrat Usman did not know. While some others say that it was a plot of the insurgents and they produced a forged letter. For the reason given in the Glorious Caliphate by Athar Hussain, the conclusion is that the letter was clean forgery. Hazrat Ali tried to pacify them but they did not listen to him and went straight to Hazrat Usman, saying: “We do not want Usman (R.A.) to be the Khalifah. Allah has made his blood lawful for us. You should also help us." Hazrat Ali said, "By Allah, I have nothing to do with you. It seems that you have hatched a plot and are trying to carry it out." When the insurgents went to Hazrat Usman (R.A.) he took a solemn oath that he knew nothing about the letter. But they refused to believe him and said, "Whether you wrote it or not, you are unfit to be the Khalifah and you must abdicate." Then, they threatened to kill him to which Hazrat Usman (R.A.) replied, "I do not fear death, but I do not want to shed Muslim blood." When Hazrat Ali saw that the insurgents were out of control and Hazrat Usman did not want to use force against them, he left for Ahjar, a place a few miles away from Madinah, because his position was becoming difficult as the insurgents wanted to drag him into the dispute. Afterwards, the insurgents demanded Hazrat Usman (R.A.) to give up the Khilafat. He rejected their demand and said, "I can't take off the robe of honour with my own hands that Allah has bestowed upon me." Consequently, the insurgents began a violent siege of his house and did not allow him to come out except for offering Salats in the Masjid. But later on, they did not even allow him to leave his house even for the Salats. The siege went on for forty days. During the last few days, they also stopped the supply of water. Some brave Muslim youths like Hazrat Hassan, Hussain, Muhammad bin Talha, Abdullah bin Zubair (R.A.) were guarding the gate of the house so that nobody among the insurgents could enter the house. Beside Hazrat Uthman and his wife, Nailah, Marwan bin Hakam was also in the house. He did not allow any person to fight with the insurgents although a fight took place between Hazrat Hassan, Hussain and Marwan and the insurgents when they did not allow Ummul Mu'minin Hazrat Habibah (R.A.) to supply meals to Hazrat Usman. Hazrat Hassan received minor injuries but Marwan was seriously hurt. However, the insurgents did not fight with Hazrat Hassan and Hussain because of the fear of Hashmites. During the siege, Hazrat Usman sent Abdullah bin ’Abbas to Makkah to lead the Hajj and also to inform people about the insurgents. He also sent messengers to provincial governors. When hardship grew, some eminent companions like Hazrat Mughirah bin Shu'bah requested the Khalifah to take action against the insurgents and said that all the people of Madinah were ready to fight for him but he did not agree to shedding of Muslim blood. Then they proposed that he should leave the house through the back door and either go to Makkah or to Damascus where he would be safer but he accepted neither of the proposals. Things got worse day by day, and at last the crisis heightened. The only weapons that were with Hazrat Usman was his kindness and soft nature. He addressed the insurgents several times from the roof of his house and reminded them about his family relations with Rasulallah (s.a.w), and the services he had rendered to Islam but they never listened to him. The insurgents were afraid that the Hajj was coming to an end and after the Hajj a number of supporters of the Khalifah would go to Madinah. They decided therefore to assassinate him without delay. As stated before, they did not want to fight with Hashmites like Hazrat Hassan, Hussain and Abdullah bin Zubair who were standing guard at the main gate of Hazrat Usman's big residence. The reason not to fight with Hashmites was that they had incited a number of people against Banu Umayyah (Hazrat Usman’s family) in favour of Banu Hashim (Hashmites). So the insurgents climbed the back walls of the house and entered the room where Hazrat Usman (R.A.) was reciting the Holy Qur'an. On seeing Hazrat Usman, one of the insurgents hit his head with an axe while the next struck him with a sword. His wife, Hazrat Nailah tried to shield her husband but she also got several wounds and her fingers were chopped off. Chronicles record that Muhammad bin Abu Bakr was the leader of the assassins. He got hold of Hazrat Usman’s beard and pulled it. On this Hazrat Usman remarked, "Oh my dear nephew if your father (Hazrat Abu Bakr) was alive you would never have done this." The remarks of Hazrat Usman cut him and he turned back and did not take part in the assassination. After giving severe injuries to Hazrat Usman, one of the insurgents, an Egyptian named Amr bin Hamq cut off the Khalifah's blessed head. Hazrat Usman (R.A), one of Islam's greatest personalities, was assassinated on Friday, the 17th Dhul-Hijjah, 35 A.H. (the 17th July, 656 A.D.). Hazrat Anas (R.A.) narrated that Rasulallah (s.a.w), Hazrat Abu Bakr, Umar, and Usman went up the Mount of Uhud (the mountain near Madinah) and when it quivered because of them, Rasulallah (s.a.w) kicked it with his foot and said, "Keep steady, Oh Uhud, for on you stands a Prophet, a Siddiq and two martyrs." In the above Hadith, Hazrat Abu Bakr had been mentioned as the Siddiq (truthful friend) while Hazrat Umar and Hazrat Usman (R.A.) had been prophesied as the martyrs. The news of Hazrat Usman's cruel assassination shocked everybody. Hazrat Ali (R.A.) received the news when he was returning from Ahjar to see Hazrat Usman. He was stunned on hearing about the assassination of Hazrat Usman and exclaimed, "Oh Allah, You know it, I am free from any blame." He rebuked his sons Hazrat Hassan and Hussain (R.A.) and others who had stood guard at the gate for not being more alert. After assassinating the Khalifah, the insurgents virtually took over charge of Madinah. They also looted the Baitul Mal. The people of Madinah were afraid of them and did not come out of their houses. The body of the Khalifah could not be buried for two days. At last, some Muslims in succeeded in getting into the house and carried out the burial service. There were only 17 Muslims who participated in the burial prayers due to the circumstances at the time. Hazrat Usman (R.A.) was 82 years old at the time of his assassination and remained in the office of Khilafat for about 12 years. His words "I do not want to spill Muslim blood to save my own neck", will be remembered for ever in the history of Islam. He sacrificed his life to save the blood of Muslims. "Ah, the assassination of Usman has divided the Muslims till resurrection, they will never be united again." 1. Uthmanis: The Syrians and Basrites were in favour of capital punishment of the assassins. Syrians thought Hazrat Amir Mu'awiyah was the most suitable person to punish the assassins, while the Basrites wanted the Khalifah from any of these two; Talha or Zubair, as they were included in the panel appointed by Hazrat Umar to select the Khalifah. 2. Shia: These people did not think Hazrat Usman (R.A.) fit for Khilafat and called themselves as the "Shi‘an e Ali" i.e., the friends of Ali. Kufans and some Egyptians were in this group. According to Sunni historians, the assassins were from amongst this group. 3. Murhabah: These were those people who were busy in Jihad (holy wars) at the time when Hazrat Usman was assassinated. They said: "Neither are we with Uthmanis nor with Shi'as. We want to keep aloof from their differences." 4. Ahle Sunnah wal Jamaat: These were the bulk of the Companions and the Muslims of various parts of the Islamic state including Makkah, Madinah and other parts of Arabia. They said, "We love both Hazrat Usman and Hazrat Ali and consider them as righteous and pious Companions. We do not curse any of the Companions & the righteous Muslims. If any of the Companions committed a mistake it was due to his Ijtihad (his disciplined verdict based upon the Holy Qur'an and Sunnah of the Holy Prophet) and he will not be questioned for it. We follow the Sunnah of Rasulallah (s.a.w) and the Sunnah (ways) of his righteous jama'ah (the group of all the Companions)." The first and the third group, ie. Usmanis and Murhabah proved to be temporary political groups but the other two ie. Shias and the Ahle Sunnah wal Jamaat (Sunnis) took the shape of permanent theological groups and still exist. Hearing the news of Hazrat Usman's assassination, Hazrat Abdullah bin Abbas (R.A.), a prominent commentator of the Holy Qur'an remarked, "Allah may have stoned us as He stoned the people of Lot, if the majority of Muslims had supported the assassination of Hazrat Usman." Hazrat Thamamah bin 'Adi (R.A.) the governor of Yemen started to cry and weep hearing the news of the assassination of Hazrat Usman. Hazrat Abdullah bin Salam (R.A.), well versed in the past scriptures, said: "By Allah, the power of the Arabs has finished now." Hazrat Aisha (R.A.), the most beloved wife of Rasulallah (s.a.w), said, "Ah, Usman has been assassinated most cruelly. His record of deeds is shining like a well washed cloth." Hearing the news of the assassination, Hazrat Abu Hurairah and Hazrat Zaid bin Thabit (R.A.) started to weep continuously and their tears did not stop for a long time. The shirt of Hazrat Usman, which was marked with his blood, and the cut fingers of his wife, Hazrat Nailah, were carried to Hazrat Amir Mu'awiyah (R.A.), the Governor of Syria, in Damascus. When they were shown to the Muslim public, the whole gathering started to cry and shouted, "Revenge, revenge!". Mr. Joseph Hell, a Western historian says: "The assassination of Usman was a signal for civil war." Mr. Wellhausen, a German historian says, "The murder of Usman was more epoch-making than, almost any other event of Islamic history." Philip Hitti has remarked: "With Usman's death the political unity of Islam came to an end. Soon Islam's religious unity was divided. Islamic society entered upon a period punctuated with schism and civil strife that has not yet ended." A Muslim historian, Prof. K. Ali, writes, "Unity of Islam which was maintained by the first two Khalifah was lost and serious dissensions arose among the Muslims." The assassination of Hazrat Usman was followed by great civil wars and battles between the Muslims, the details of which will be discussed later. The system of centralised government initiated by Hazrat Umar and developed by Hazrat Usman was shattered and a number of internal movements started, of which the Kharijite's movement was the most serious. Hazrat Usman’s reign constituted a glorious period in the history of Islam. The territories of Islamic state (caliphate) were immensely extended. Though the conquests during his time were not so much in number as during the time of Hazrat Umar, nevertheless they were not few in number either. He ruled over a vast part of the then known world, right from Kabul (Afghanistan) to Morocco. He put down the rebellions with an iron hand. During Hazrat Usman’s period of caliphate, the Muslim naval force was developed and Muslims began naval victories. The victory over the huge naval force of the Byzantine Empire comprising 500 ships has been termed as the Grand Victory. After the capture of North African territories by Muslims and gaining full control over Mediterranean, the mighty power of Byzantine and Roman Empires had collapsed. Actually Islam was at the zenith of its glory during the period of Hazrat Usman. One of the magnificent services to Islam done by Hazrat Usman (R.A.) was to safeguard any possible change in the codex of the Holy Qur'an. After the conquests by the Muslims, hundreds of thousands of non-Arabs, whose mother tongue was not Arabic, accepted Islam because of its teachings. Hazrat Hudhaifah (R.A.), one of the prominent Companions of Rasulallah (s.a.w), went for Jihad during that time and noticed many differences in the manner of recitation of the Holy Qur'an. The Syrians recited in a way different from that of Kufis while the Kufis differed from the Basris and so on. As a matter of fact, these differences were due to the differences in the way of writing Arabic. Seeing this condition, Hazrat Hudhaifah reported the matter to the Khalifah on his return from Jihad, and suggested that the Madinah codex should be regarded as authentic, i.e. the Holy Qur'an, which was written and compiled in book form during the time of Hazrat Abu Bakr (R.A.) and was kept with Ummul Mumineen Hazrat Hafsah (R.A.). Hazrat Usman (R.A.) took that Book from Hazrat Hafsah(R.A.) and canonised the Madinah codex. He asked Hazrat Zaid bin Thabit (R.A.), the person who wrote it during the time of Hazrat Abu Bakr, to make copies of the same with the help of some other Companions like Abdullah bin Zubair and Sa'd bin 'As etc. Then he ordered all other copies, beside the Madinah codex, to be burnt and destroyed throughout the State. Those people who earned their living in the provinces as the receptacles and expositors of the sacred text were not pleased with this act. It has been discussed before that such persons criticised Hazrat Usman for burning unauthentic texts. However, for this great service Hazrat Usman (R.A.) is famous as the Jami'ul Qur'an (the compiler of the Qur'an), and for this act, the Muslim world will forever be indebted to him. Hazrat Usman had beautiful handwriting, and for this reason Rasulallah (s.a.w) appointed him as one of the scribes of the Wahi (revelation). His style of writing was well recognised among the Companions. Arabic knowing persons can recognise the fluency of his writings especially of the letters and the orders he sent to various officers during his Khilafat. Though he was not an orator but his way of lecturing was very powerful and effective. His addresses and lectures can be viewed in many history books. Hazrat Usman was a great scholar of the Holy Qur'an and was a Hafiz (one who commits the whole Holy Book to memory). He was well versed in Shan-i-Nuzul, which is the chronology of the revelation of various verses and chapters of the Holy Qur'an, and was considered an authority in this respect. He was one of the few Companions who excelled in deriving laws from the verses of the Holy Qur'an. Although his jurisdiction was not of the standards of Hazrat Umar and Hazrat Ali (R.A.), nevertheless he was well qualified in this respect. His verdicts and judgements have been mentioned in many books. He was also considered an authority on the laws of Hajj. Even Hazrat Umar (R.A.) used to ask Hazrat Usman regarding Hajj during his time. Hazrat Usman (R.A.) was a very pious Companion and a man of high character. He was the most modest of all the Companions. Once, Rasulallah (s.a.w) was sitting with some of his Companions and the shin of his mubarak leg was not covered. In the meantime, somebody informed him about the arrival of Hazrat Usman (R.A.). Rasulallah (s.a.w) immediately covered it and remarked, "Even the angels have regard for the modesty of Usman." He was a strict follower of the Sunnah of Rasulallah (s.a.w). Somebody asked him the reason for smiling after wudu. He replied that he had seen Rasulallah (s.a.w) smiling after making wudu, so he smiled in order to follow him. Once, he demonstrated to the Muslims the correct way of making wudu according to the Sunnah of Rasulallah (s.a.w). He used to fear Allah very much. Tears used to roll down his face due to Allah's fear. Whenever the consequences to be faced in the grave were described before him, he used to weep so much that his beard would moisten with tears. Sometimes he wept and cried seeing a corpse or a grave due to his fear of Allah. He used to say, "The grave is the first stage of all the stages of the Hereafter. If a person is successful there, he would be successful on the Day of Judgement too. If a person faces difficulty in the grave, other stages will also be difficult for him." He used to carry out household work although he was one of the wealthiest persons in the whole of Arabia. He would not wake his slave to take any help from him when he got up to perform Tahajjud Salat. Hazrat Usman was very soft spoken. If any person talked to him in a harsh tone he always replied gently. Once when he was delivering the Jummah Khutba, a person shouted during the Sermon: "Oh Usman, repent for Allah’s sake and keep away from going wrong." He immediately turned his face towards the Qiblah and exclaimed, "Oh Allah, I am the first to repent before Thee and to turn towards Thee." He never took any allowance from the Baitul Mal for his services as a Khalifah. Hazrat Umar recieved 5,000 Dirhams annually as an allowance from the public treasury, thus Hazrat Usman contributed 60,000 Dirhams after his 12 years service, towards the Public Fund. Examples of his generosity have already been given. He was the most generous among all the wealthy Companions and never hesitated to spend his money for the cause of Islam and Muslims. His house was one of the biggest in Madinah which he built near the mosque of Rasulallah (s.a.w). He established a library in the back of his house for the education of the Muslims. Hazrat Usman was first married to Rasulallah (s.a.w)'s daughter, Hazrat Ruqayyah (R.A.) who died in Madinah while Rasulallah (s.a.w) was away on the expedition of Badr. Then he was married to the younger daughter of Rasulallah (s.a.w) whose name was Hazrat Umme Kulthum. She also died in the year 9 A.H.
His first wife, Hazrat Ruqayyah, bore him a son called Abdullah, who died at an early age. He had no child from Umme Kulthum (R.A.). After the death of his second wife Hazrat Umme Kulthum, he married the following ladies at different times: Fakhtah bint Walid; Umme Amr bint Jundah; Fatimah bint Shaibah; Umme Banin bint Uwainah; Ramlah bint Shaibah; Aishah; Umme Aban; and Nailah bint Farafsah, his last wife whose fingers were chopped by the insurgents. Eleven sons were born to him from different wives. Some of them died at an early age. One of his sons, Aban became famous and held high positions during the Umayyads. He had six or seven daughters. Today, there have been 99 visitors (173 hits) on this page!